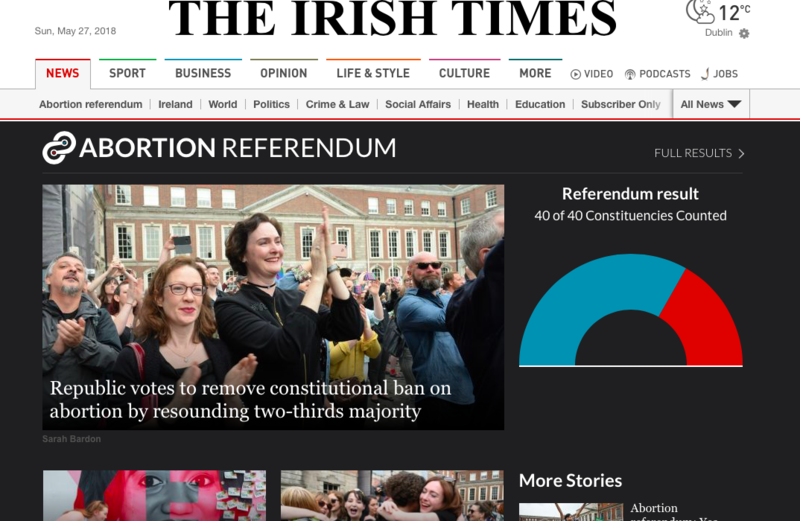 Miriam Duignan, center of photo, an Irish Catholic feminist activist, celebrates the landslide vote legalizing abortion in Ireland. Miriam, an occasional guest on ‘Reasonably Catholic’ since the show’s inception, tells what it was like to witness history and why the vote is “not a celebration of abortion,” but of “the primacy of conscience,” which the Church has long valued. 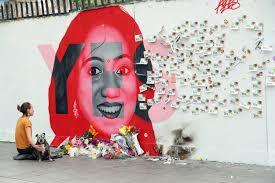 Above, a growing shrine to Savita Halappanavar, a 31-year-old dentist who died of sepsis in a hospital in Galway in 2012 after she was denied an abortion during miscarriage. Irish yes-voters affixed their Together for Yes stickers to a Dublin mural depicting her. Below, click on the photo or headline below to access a New York Times article about Pope Francis’ effectively giving up on Europe. Did you donate to WESU-FM during our spring pledge drive? A donation with a five in it will nicely mark the fifth birthday of ‘Reasonably Catholic: Keeping the Faith’! Please go to www.wesufm.org/pledge and give what you can. Thanks!